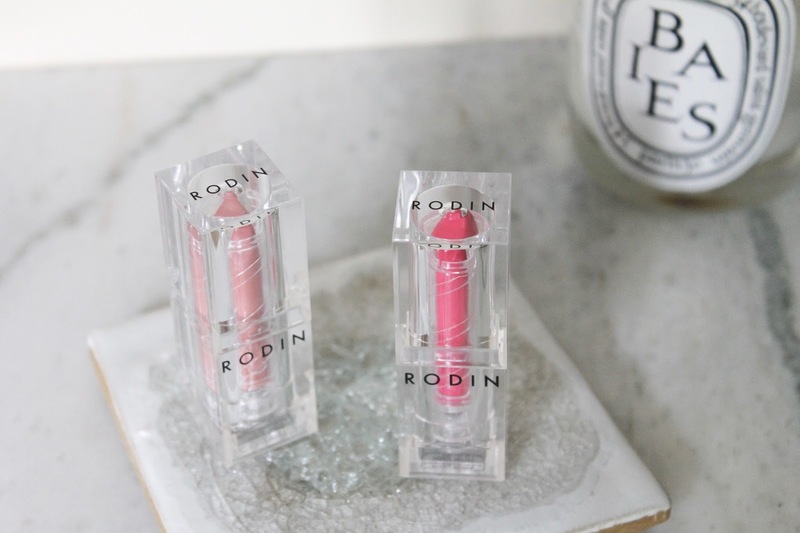 You may have noticed I've been making a conscious effort to keep a tighter rein on my beauty collection lately, especially when it comes to color cosmetics. 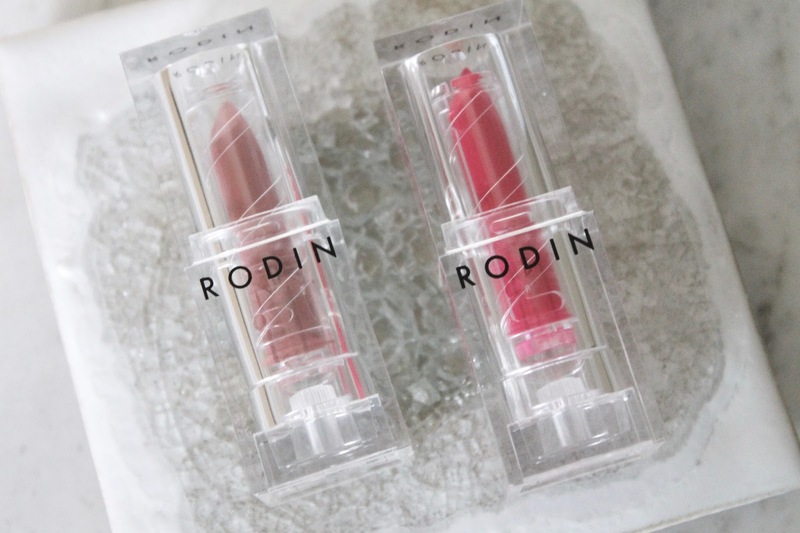 If you're familiar with the eponymous line Rodin, you'll know that her beautiful essentials fall right into that category. It's a well-edited product lineup if there ever was one and doesn't include anything unnecessary whatsoever. 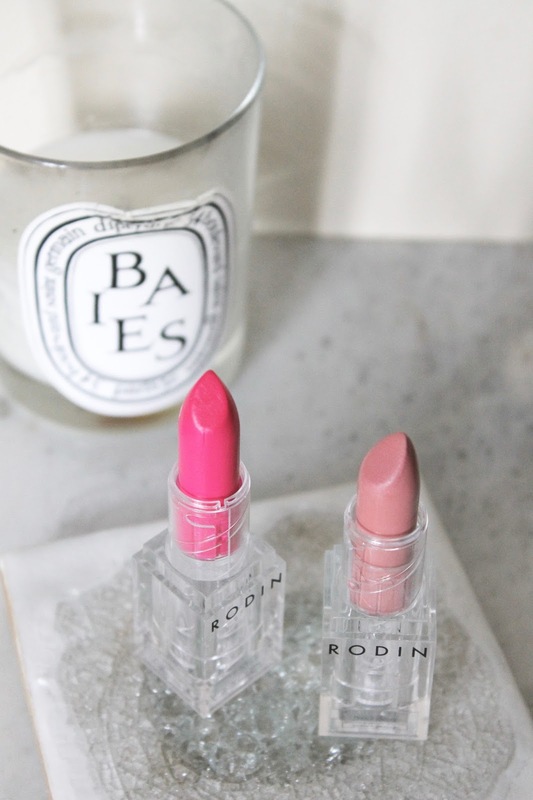 I'm sure by now you've heard that there has been a long-awaited addition - 5 lipsticks in unique, essential shades that feel very "Parisian" to me. I have two here and haven't put them down since I got them. The texture is smooth, satiny and hydrating, but packs a serious punch in the pigment department. I couldn't be more pleased - because this is the way I love my lipsticks - and I've become a bit sick of the ultra-drying matte lip trend (though those products have a time and place, I don't believe everyday is one of them) so these are a welcome update on a classic texture. So Mod - Created to emulate that always-stylish 60's mod lip look, worn by the likes of Brigitte Bardot. Who doesn't want to steal that look? Winks - A true, classic hot pink that instantly brightens the face. Linda's inspiration was her dog, Winks. Have you tried these yet? Which color should I try next?